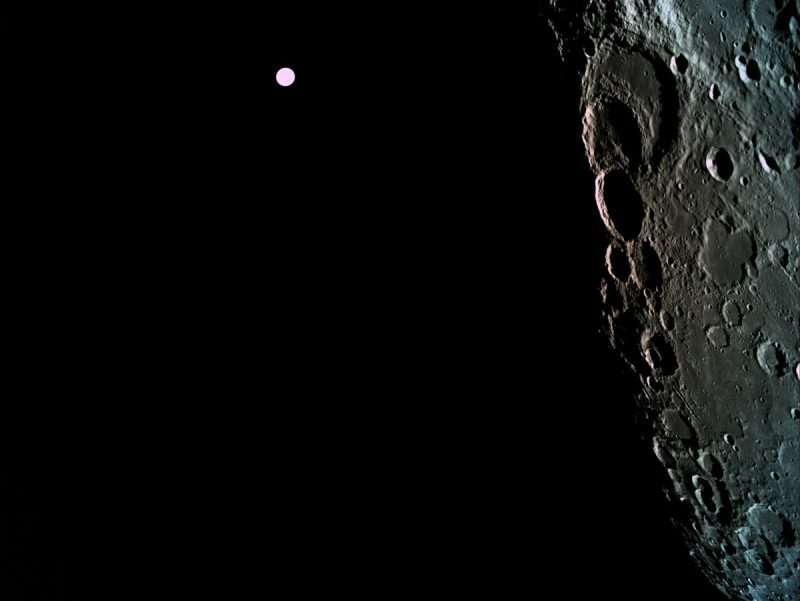 Stunning partial view of the far side of the moon from the Beresheet spacecraft on April 4, 2019. That object in the distance is Earth! Image via SpaceIL. 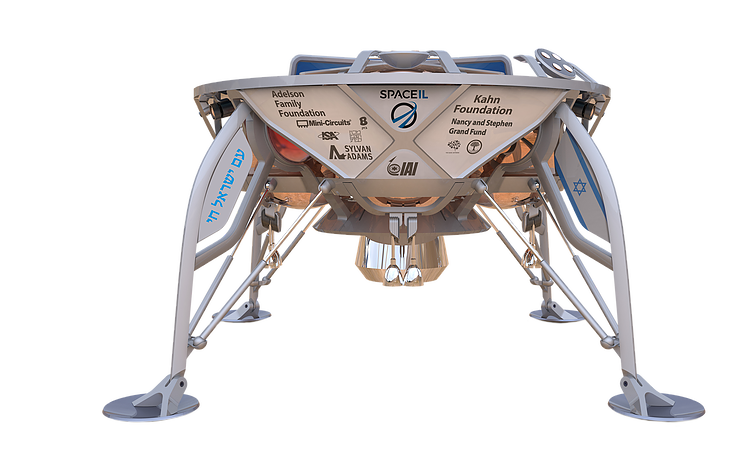 Israeli space engineers are preparing to make history on Thursday (April 11, 2019), when they hope to help their country become the fourth nation to land on the moon. The spacecraft, which is orbiting the moon now, is called Beresheet, which means “in the beginning” in Hebrew. The lander is scheduled to set down in the Sea of Serenity, also known as Mare Serenitatis. 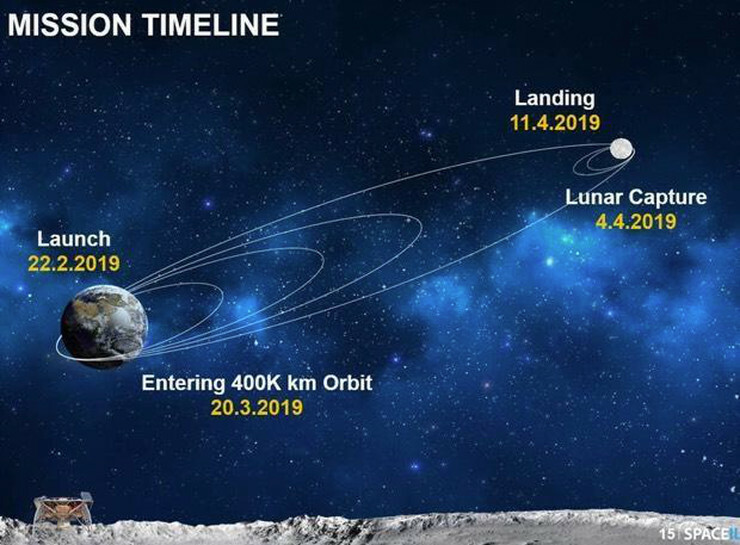 The landing is expected between 19:00 and 20:00 UTC (2 to 3 p.m. CDT) on Thursday, April 11, 2019. Translate UTC to your time. This wouldn’t be just the first landing for Israel. 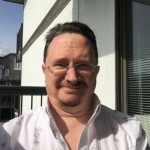 It would also be the first touchdown on the moon by a commercial spacecraft as well, with the mission being managed by the non-profit organization SpaceIL. You can watch the landing live on YouTube, Facebook and the SpaceIL website. Greetings from the FAR SIDE OF THE MOON, after last night's successful first maneuver by the Beresheet spacecraft around the moon.#IsraelToTheMoon ???? The lunar capture is a historic event in and of itself, but it also joins Israel in a seven-nation club that has entered the moon’s orbit. A week from today we’ll make more history by landing on the moon, joining three super powers who have done so. Today I am proud to be an Israeli. 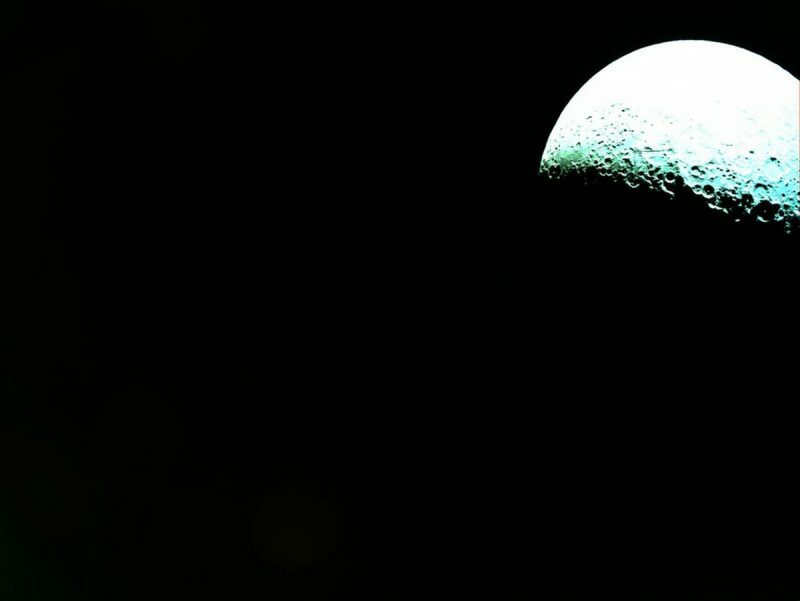 A crucial six-minute engine burn was performed on April 4, in order to reduce Beresheet’s velocity relative to the moon by about 620 miles per hour (1,000 kph) – just enough for lunar gravity to capture the spacecraft and prevent it from simply sailing past the moon. Beresheet’s orbit now has a high point of 6,213 miles (10,000 km) and a low point of 310 miles (500 km) above the moon’s surface. It will continue to settle into a circular orbit of about 124 miles (200 km), before it begins its descent. 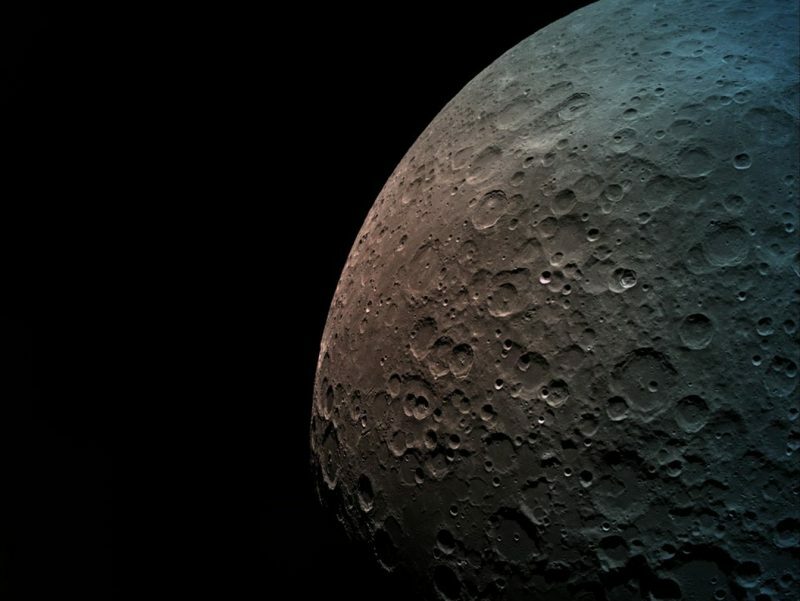 Beautiful view of the far side of the moon from Israel’s Beresheet spacecraft. 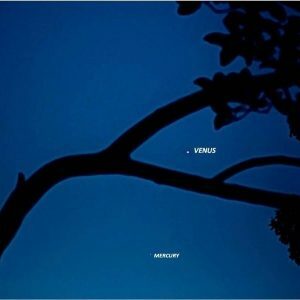 Image via SpaceIL. 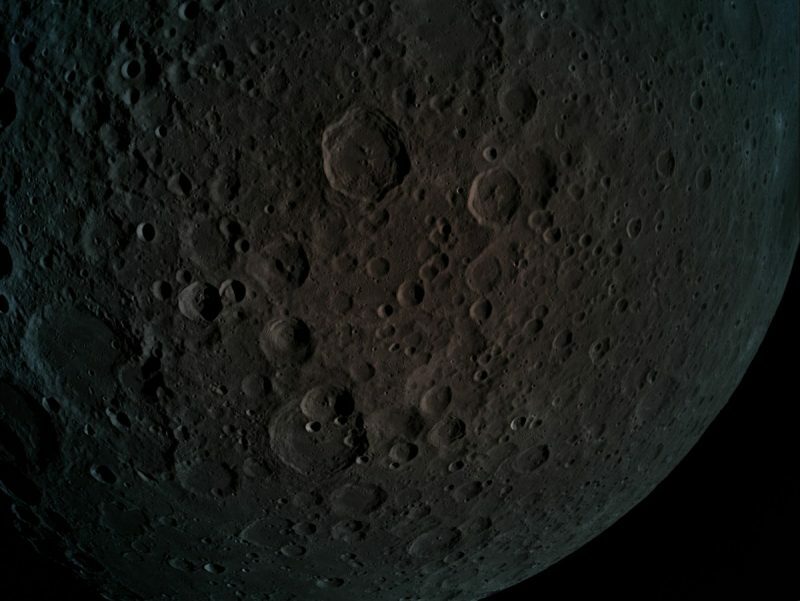 Another great view of the far side of the moon from Israel’s Beresheet spacecraft. Image via SpaceIL. A more distant view of the moon’s far side from Beresheet. Image via SpaceIL. After six weeks in space, we have succeeded in overcoming another critical stage by entering the moon’s gravity. We still have a long way until the lunar landing, but I’m convinced our team will … land the first Israeli spacecraft on the moon, making us all proud. The spacecraft will land autonomously. Actually, we’ll send a command to land, and it will land by itself. We have never tested it, so we are not sure how it will work. We have done a lot of experiments and a lot of tests in the lab using a simulator, but we have never tested the spacecraft to land on the moon. Looking back: Beresheet’s view of Earth as it journeys to the moon. Image via SpaceIL. Beresheet mission timeline. Image via SpaceIL. In order to begin the landing procedure, we need to give the spacecraft the exact location of where it is. This accurate positioning is very risky. We also have a special sensor, a laser sensor. This is the first time that this sensor will be on the moon, so it is very risky, too. Beresheet has a high-resolution camera to take panoramic images of its landing site, as well as a “time capsule” containing photos and cultural artifacts, including a copy of the Bible engraved on a coin-sized disk. The Beresheet lander. Image via SpaceIL. Until today, three superpowers have soft landed on the moon. We thought it’s about time for a change. We want to get little Israel all the way to the moon. This is the purpose of SpaceIL. 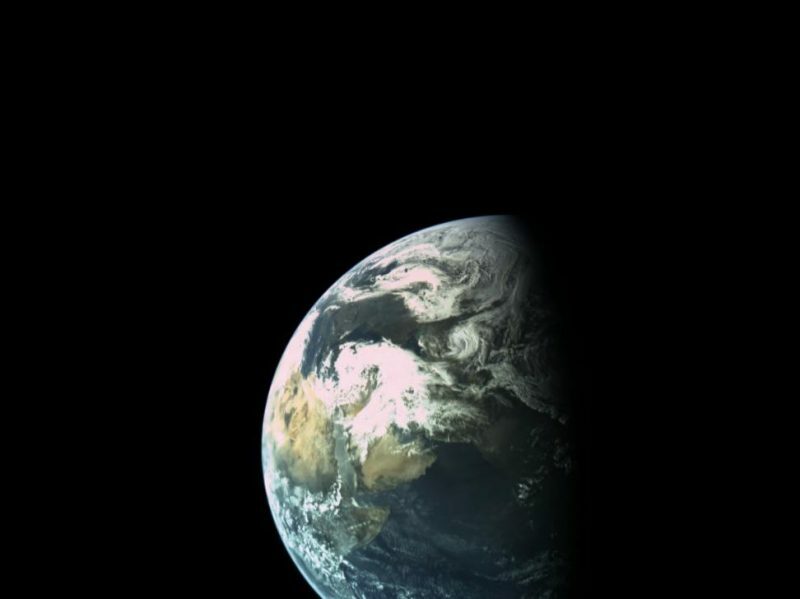 Bottom line: The Beresheet mission – Israel’s first attempted landing on the moon – is now in lunar orbit and has already sent back some stunning images. 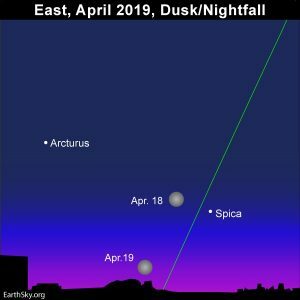 The mission hopes to land on the moon’s surface on Thursday, April 11, 2019, between 19:00 and 20:00 UTC (2 to 3 p.m. CDT). You can watch the landing live on YouTube, Facebook and the SpaceIL website.